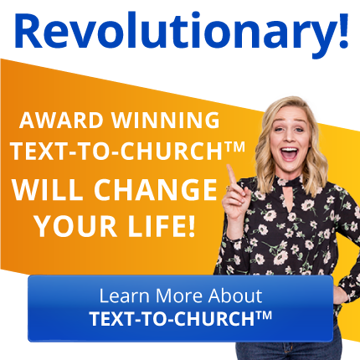 Text-to-Church account setup extended beyond Text-To-Give. Login from volunteer or follow-up reminder. Don't send registration confirmation email. Problem: In order to use any text-to-church feature, you had to first create a text-to-give account. This limited the usability of the other features. 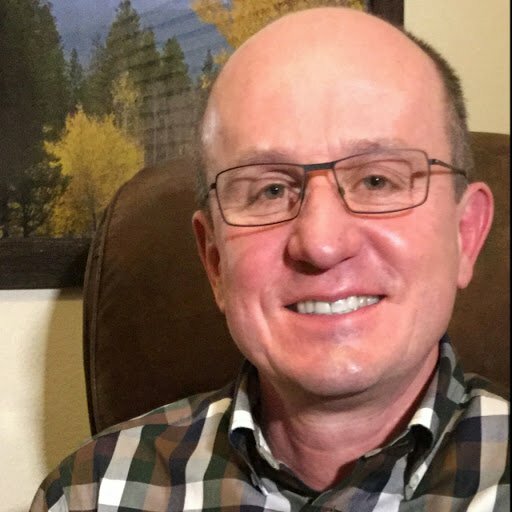 Solution: We made adjustments so that when people use any of the text-to-church features, their phone number is associated with their record in the database for texting solutions from that point forward. However, for text-to-give, they will still have to setup and verify their account with an credit/debit card or bank account credentials. Problem: Request for coaches, staff and admins to be able to login after clicking Follow-up or Volunteer Reminder link. Solution: Added login option on the screen after volunteer or staff respond to an assignment. Problem: In some scenarios, like manually entering registrations, you don't need the confirmation emails to go to the registrant. Solution: Added a "Don't Send" option for the confirmation email in Registration Settings. Problem: Need a way to recognize who has signed up together for an event. 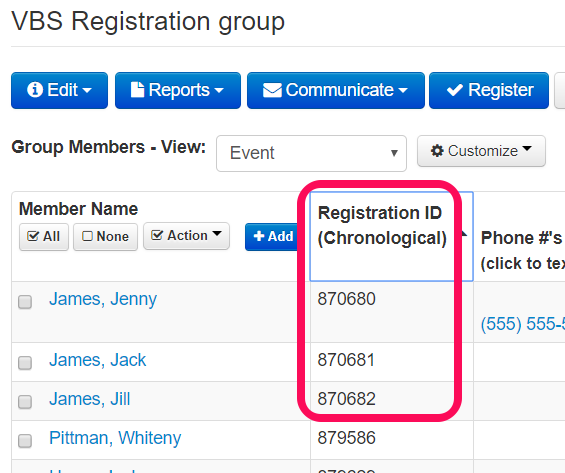 Solution: New Group Members - View customization option called Registration ID (Chronological). Sort by this column to see the order in which people registered. Problem: When you clicked to edit a registration attribute from within a group, the system used to refresh the page to make the edit then take you back to the group page when done. This was tedious and time-consuming for large groups especially. Solution: When you click to edit a registration attribute from within a group, the system now opens up a new tab for you to make the change. If there are less than 200 in the group, you will see the change automatically in the original window. If the group has more than 200 in it, changes made will be highlighted in red. This will speed data entry. Especially helpful for VBS and other mass registrations. Problem: Follow-up notes previously just showed on top of one another even if they had already been completed. Solution: We added a column when you login through an email or text that shows the status of follow up for the note. When you click the blue button to add a note, the status is automatically marked "Complete". To continue following someone up, you would add a new follow up date to the new note. Problem: Only the top level of access could request and view background checks. Solution: You can customize access to these separately (Settings / Account Info / Settings button under Background Checks). ex. Staff can request a background check, but only group or financial admins can view them. Problem: There were some challenges with lining up family and member labels (Reports / Communication) for different browsers and printers. Solution: Once you select an option, the instructions reflect our new recommendations. With recent upgrades to its browser, Chrome is probably the best option for printing labels on both PC and Mac. Problem: Need to search database by the same criteria used to search during contribution batch entry. Solution: Automatically added this as an option under Members / Advanced Search. Problem: In the family directory the order of names in the family didn't represent the common presentation of family order. Solution: We added some creative programming to present adults first, male then female. Then kids based on family role and birthdate. It's important to have birthdate fields completed for this sort order to work properly. Problem: These messages were going out too early or too late depending on the time zone. Solution: Go to Settings / Basic Settings and confirm your time zone is correctly set. 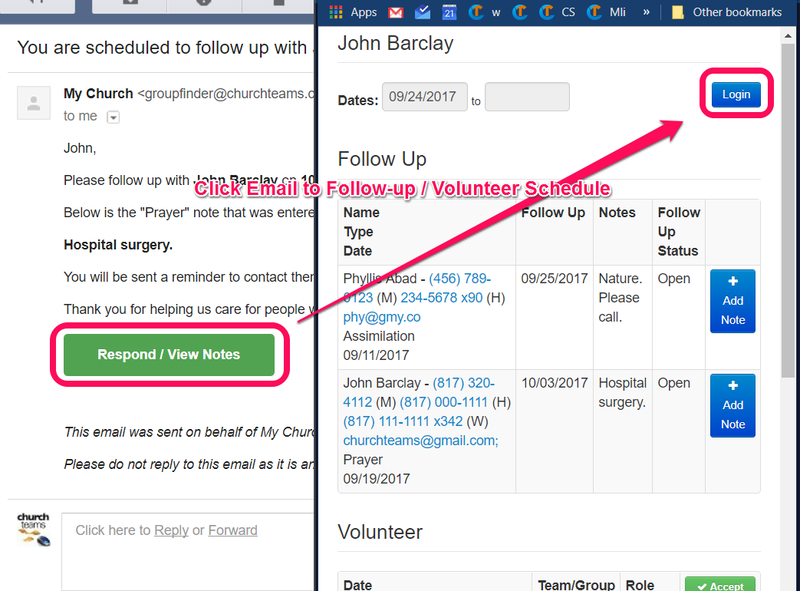 Problem: Staff from a large church were getting 4th reminders and wanted a better way to remember and pray for their groups before contacting them. Solution: If the group has a picture associated with it, the picture will show up at the top of the 4th reminder email that coaches and staff get when someone doesn't complete a group meeting report.